Here at The Old Rectory we aim to give you a luxurious stay without compromising our green credentials. 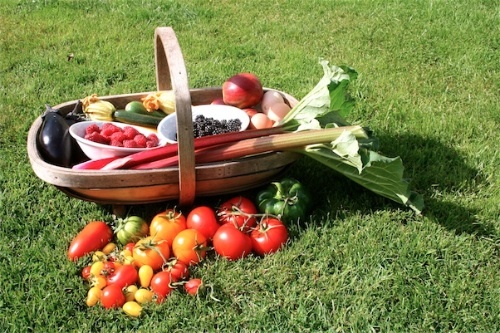 For a few months of the year we can even provide a totally homegrown breakfast. 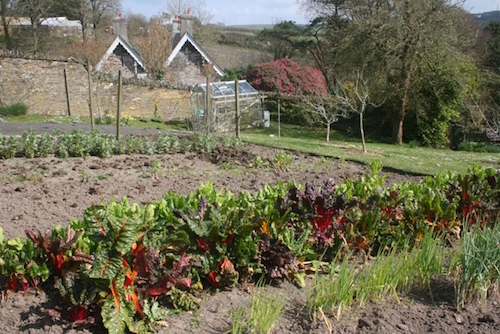 We have a large walled kitchen garden and endeavour to produce as many ingredients from Cornwall as possible to serve for breakfasts and evening meals. 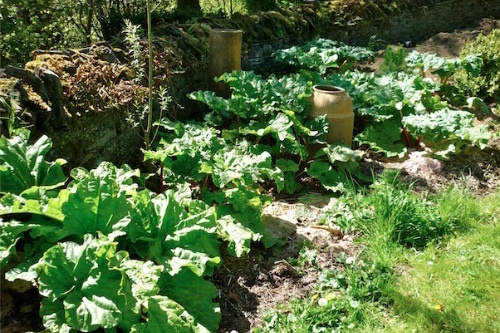 Fruits include strawberries, rhubarb and nectarines. Vegetables include courgettes, tomatoes and new potatoes. When available we serve our own pork, sausages, lamb, free range eggs, jams and chutneys. We harvest rain water for the garden and promote composting and the use of mulches and leaf mould. We buy locally sourced produce to reduce food miles and support our local economy. We buy and serve fair-trade tea, coffee, chocolate and sugar. We reduce, reuse and recycle as much as possible, and encourage our Guests to do the same. We primarily heat the house using our wood burning stoves in the winter, which are fuelled using our own wood. 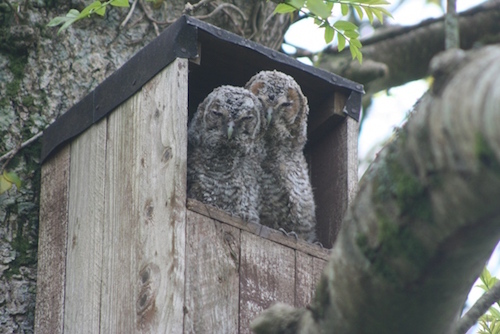 Trees are always replaced and in 2012 we replanted gaps in our ancient hedges with 300 trees to promote wildlife habitats and provide a windbreak. 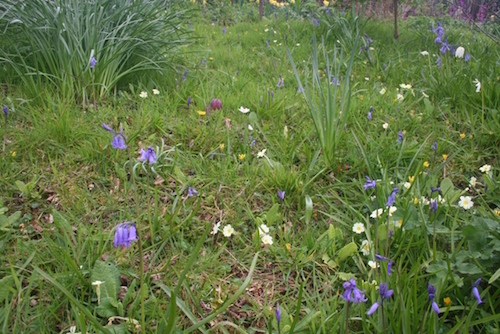 We also planted an area of coppice woodland. We are careful to monitor our energy consumption. 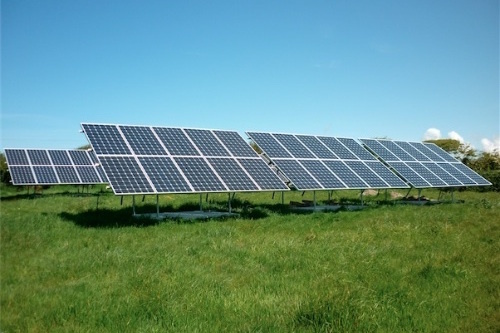 In 2011 we installed a 20kW solar system, which reduces our import of energy by nearly 50% in the summer months. Any electricity we import is generated from renewable technologies. All our heating & water is powered from UK supplied wood pellets. The house has energy efficient lighting and appliances throughout. We use environmentally friendly cleaning and laundry products, and refillable shower and bathing products to reduce water contamination and packaging. We buy in bulk to reduce plastic waste. We use a laundry agreement to reduce towel washing. We have started planting a forest garden to provide fruits, nuts, coppice wood and wildlife habitats. We have created a wildlife pond and bog garden to encourage aquatic fauna and flora. Guests are encouraged to explore the many delights of our local area. We keep a range of maps and walking guides, with information on local attractions, and public transport. Please just ask if you would like any recommendations! Finally we have an electric car charging point so you refuel for free. This policy will be reviewed every year to ensure it remains relevant. Our own fruit, served fresh for breakfast, or as compote using our frozen fruit - in March we serve fresh rhubarb, in June raspberries, and in August peaches- plus many more. Our own homemade sausages and home-cured bacon from our free range rare breed pigs. 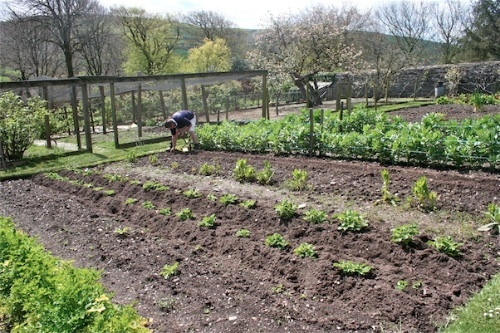 In season we also grow our own tomatoes, courgettes, peppers, aubergines and potatoes. 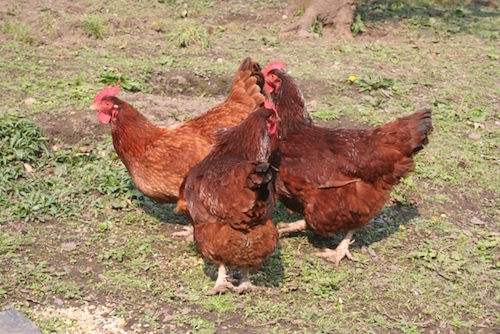 Eggs are from our free range hens and ducks. Our own honeycomb - when there's surplus. All year round we decorate rooms with our own flowers. Guests are always offered a guided tour of the garden and are more than welcome to help us feed the pigs, sheep, ducks and hens during their stay. We also have a spare bee-suit if you would like to join Anna on a sunny day to look inside the hive. All dairy products from an Organic farm less than 2 miles away. Locally caught and smoked fish. Hogs pudding from our local butcher. Supplying as much of our own produce as possible - no food miles or packaging. Sorting all our rubbish for recycling. Using our wormery and compost bins for vegetable waste. Buying in bulk and trying not to buy products that are over packaged. Using our old carpets in the garden as weed suppressants. Drying eggshells and using them as slug deterrents. Turning old newspapers into briquettes to burn on the open fires. Using old teabags as a mulch for camellias in the garden. Our recycling is collected every fortnight and recycled within Cornwall. All our glass, plastic milk bottles, tins, aluminium foil, clothes and cardboard (or compost it). Unwanted household items and clothing are recycled via our local Oxfam shop. During the day the house is powered by our 20KW solar panel array. We have developed our own system which we call the Cornish Rocker, which is adjustable with the seasons to maximise energy gain from the sun by up to 40% during the winter. Surplus energy goes to the Grid. Having replaced the Aga with an induction oven and installing a wood pellet biomass boiler, we are now oil free. We are on a green energy tariff when we have to use it! We use energy efficient light bulbs. We now have a Nissan Leaf 100% electric car which we recharge during the day when the sun is out (weather permitting!) - making the most of our own solar panels. By hiring local trade's people to do building, plumbing etc. By purchasing our electrical items from a family firm in Bude. By utilising the Post Office for stamps and bill payment. By being members of Coast (Cornwall Sustainable Tourism). By applying to be graded under The Green Tourism Business Scheme. Help organise the Boscastle Food & Arts Festival, with money going to local charities & businesses. Don't use chemical pesticides or fertilisers. Use our ducks as slug and snail control! Have created woodpiles to encourage beneficial insects. Are creating a wildlife pond. Encourage native flowers by letting large areas go to seed. Plant bee-friendly flowers for our hive of bees plus all the other pollinators. We plant new trees every year to help offset our carbon emissions (over 400 this winter). Use peat free compost and our own leaf mould. We have a 1200 gallon capacity for storing rainwater, which we use during dry weather. We have no tumble drier! 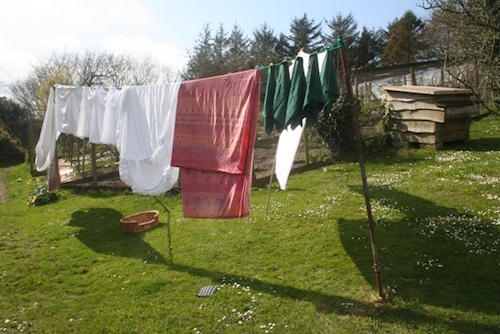 - All laundry is washed on site with eco-products and air dried or hung in warm boiler house to dry. We use our open fires and log burners to supplement heating when possible. All wood is from the garden, and trees are always replaced. We use environmentally friendly cleaning products. We will wash and air dry any clothes that guest may like washed during their stay - free of charge. We encourage guests to arrive by public transport by arranging free collection from the nearest bus stops. We keep a wide selection of local maps and guides which you are welcome to borrow. We have laminated maps of the best local walks with printed directions on the reverse. We encourage car free days for keen walkers, and the use of local buses - there are many walks from our doorstep. You are welcome to borrow binoculars for seal or bird watching. We have many species of bat in the local area, you are welcome to borrow our bat monitor if you have an interest. Overnight drying facilities are available.